I present you my first diorama which I named "Stop after a mission" After a mission a small detachment in HUMVEE stops in a street of Iraq to recover some provision in a local grocery store. 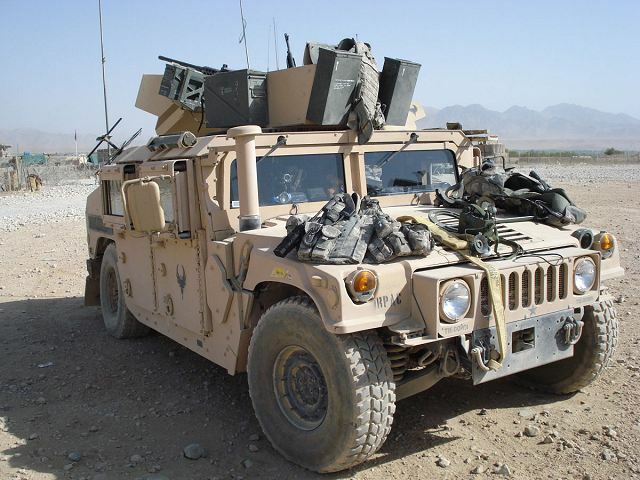 I show you the photos of the HUMVEE in progress. The continuation as the progress of the project. Thank you for giving me your opinion on my work. Removed by original poster on 10/23/18 - 14:42:14 (GMT). Removed by original poster on 10/23/18 - 15:01:51 (GMT). Removed by original poster on 10/23/18 - 15:02:08 (GMT). It is looking pretty good. One question though. Why is the window glass green? Armored glass does have a slight green tint from some angles, nowhere near the darkness you have though. This looks to be an unarmored M1025, so it should have clear windows. Armored M1151 with what appears to be clear windows. From this angle, they look more tinted, but not that much. Thank you, it is an unshielded M1025, I made him the green window to give him a life of clear parrise seemed to me a little bland! I do not have to be very faithful and very authentic !! Small tests of the weekend on the construction of the sidewalk and the road. 4 / I use a mix of black and metal steel A-MIG 192 that I spent in dry brushing to skate in the end. This humvee looks nice at this step. The Tamiya kit is a bit old now but always a good kit, and latest resin conversions are still based on. Don't forget hub caps on rims. I do not have to be very faithful and very authentic !! When you say things like that, it's hard to make comments on your build. How much inauthenticity is allowable for you? The tires? The map left casually in the vehicle? The biggest no-no is of course Playboys on the seat. General Order No. 1 was certainly in effect in Iraq, or in any parallel universe version of it. Yes, SF guys could and did bypass it often enough. They even knew where to get real Russian women. (if that was their thing) Conventional units had a much harder time breaking rules, but one thing held true no matter who you were: You didn't leave Playboys on the seat for everyone to see. Especially not in Iraq. If the wrong person saw that there'd be hell to pay - you'd never get rid of him. He'd be nagging you nonstop for more. 1 / a comment does not exempt from saying hello !! in France have principles !! 2 / I do not seek the absolute authenticity for that it will have had that I have true sources on the war of IRAK or to have gone there and it is not the case !! so just to make a nice and pleasant diomara. I thank you for your comments and wish you good luck. As you are the one referring to principles, you seem to be reacting in a very obnoxious and ignorant manner to the valid comments made by Gino and Robert. These men have both given us very useful information to use in our builds over the years. They also have first hand experience in Iraq and Afghanistan. Don't post your pictures here if you are not willing to take constructive criticism which will help you perfect your skill in this hobby. The comments made are valid. Either use them to improve or find another site to post your photos. I understand English is not your first language, but reacting in the way you have is not how we do things on this website. I do not think I have a bad word just to give my feelings, we do not all have the same level concerning the model making, I accept very much the critics I just said that my wish was not necessarily to be the most authentic possible !!! just make a nice diorama and share it. What’s going on here? In his first posting/first diorama on Armorama Bruno chooses – as he has every right to do – windows that may or may not be too green. That’s the total sum of his crime against accuracy. Bruno responded that total authenticity isn’t necessarily his priority in what I read as polite English, which should be given some leeway as it’s clearly not his native language. But while appearing to acknowledge that fact Foxtrot1 still takes self-righteous offence, not so much for himself but on behalf of others – what, don’t you think the other guys can speak for themselves? In any case I think you misinterpreted Bruno’s over-use of exclamation marks, he isn’t using them the same way most native-speakers would – quite a number of other non-English speakers do likewise if you care to notice, it doesn’t mean they’re shouting (!!) Take them out and what’s to be offended about? Incident ended there nothing serious I apologize to people who felt offended by my punctuation and my very average English, and come back to that which we all miss the model. Bruno , nice build so far , please keep up the good work on your dio !!!!!! I'm not quite sure what you mean by 'self-righteous offence', but I can see that what I said in my post obviously triggered some deep seated insecurity in you. I love how you state we must allow more than one opinion, yet you blast me for having mine.